We were introduced to the client by friends. The owner asked for some basic requirements, and all the spaces and properties are arranged based on the designer's requirements, including spaces, furniture, decorations, landscape and so on. 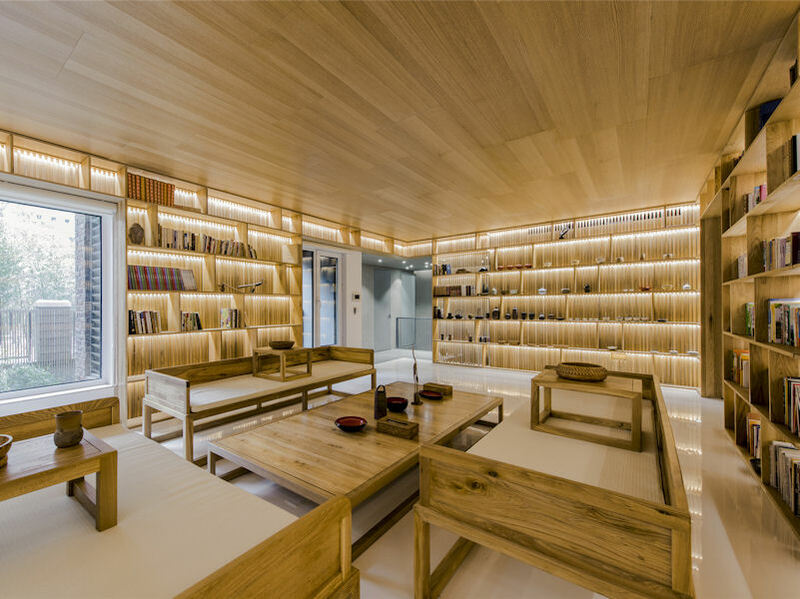 The wooden furniture is custom made for this project. Some of the decorations are the owner's possessions or purchased by the owner. 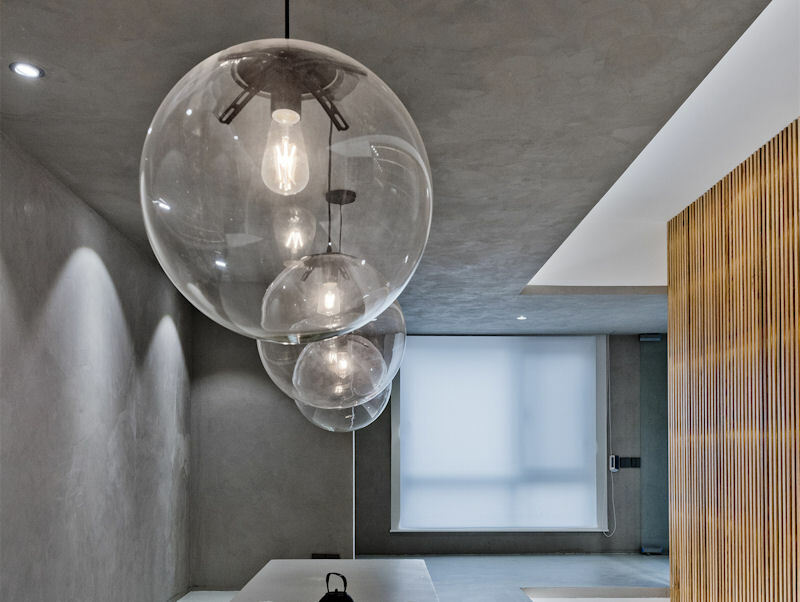 The project is a three-story townhouse located in a residential area in the eastern suburbs of Beijing. The first floor and the basement are a connected space which is used to receive visitors. The second floor is for daily living, it has separate entrances and exits. The second floor is separated from the lower floors in the original building, actually the owner bought two apartments, the second floor is one apartment, and the first floor and the basement is the other apartment. The lower floors are used for reception by the owner, they are similar to a small private club, and there are 3 guest rooms. 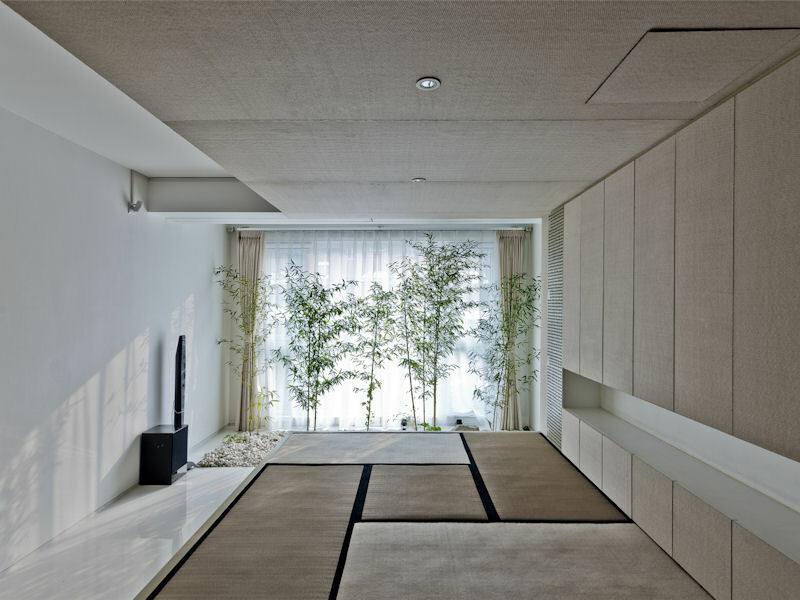 As there are visitors frequently, so there are some reception spaces, such as tea room, living room, study and so on. 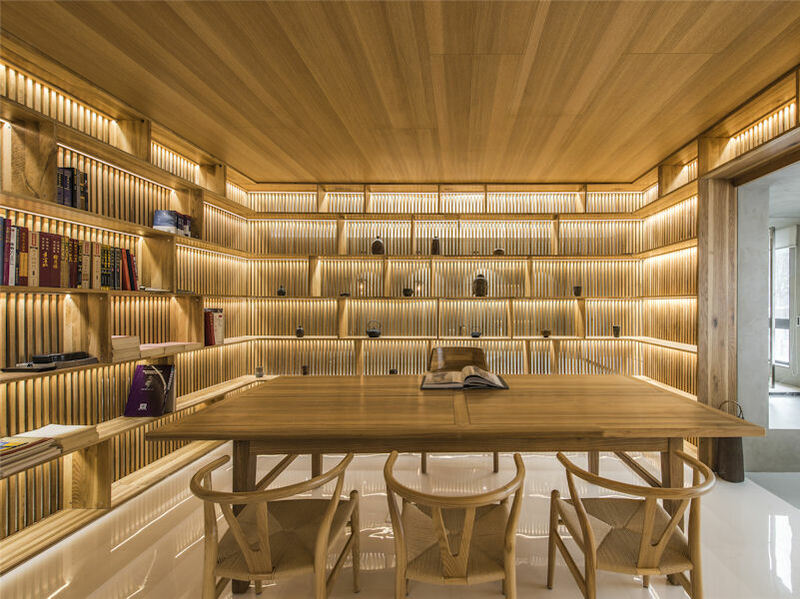 Chinese people pay great attention to dining space, so there are two dining tables, one round table for 10 to 12 people, and one rectangle table for 6 people, the owner can choose which one to use depending on the number of visitors. The second floor is for private use for the owner's family. 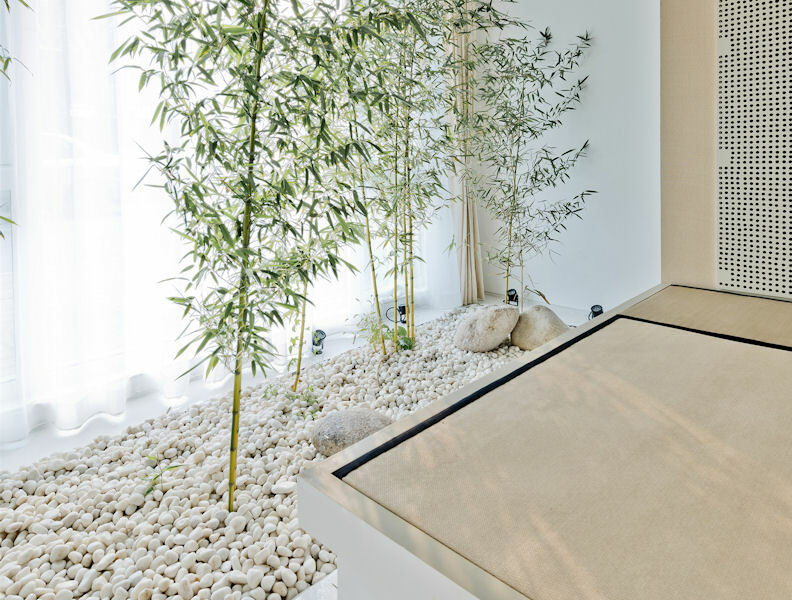 The design aims to create a living environment full of oriental characteristics. 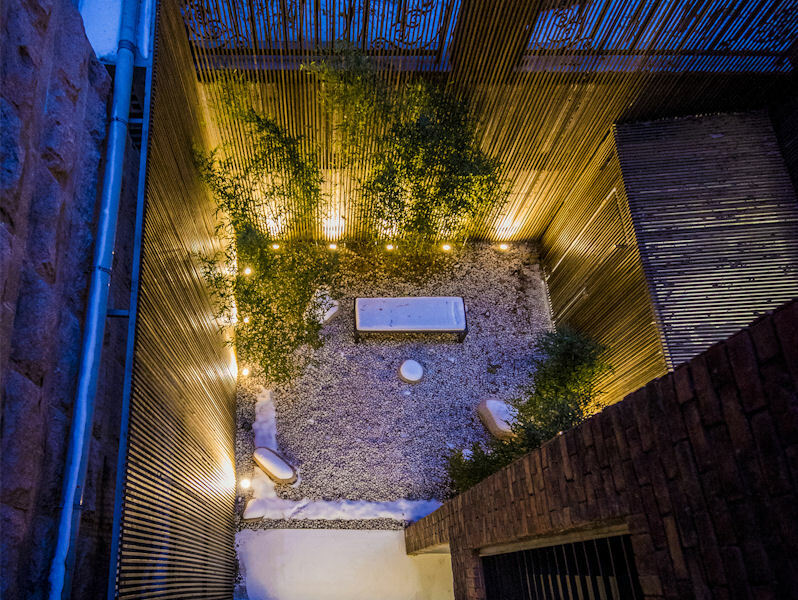 Being with nature has always been Chinese people's pursuit for their dream house, so in this design the courtyard is an inseparable part of the whole residence, and the relationship between the interior and exterior is our main consideration. In order to gain a nature feel, the walls of the sunken courtyard have been wrapped by wooden grills, which makes the courtyard become a complete background. At the same time, we add a functional space - a glass kitchen, which makes the space layout more reasonable and effective. 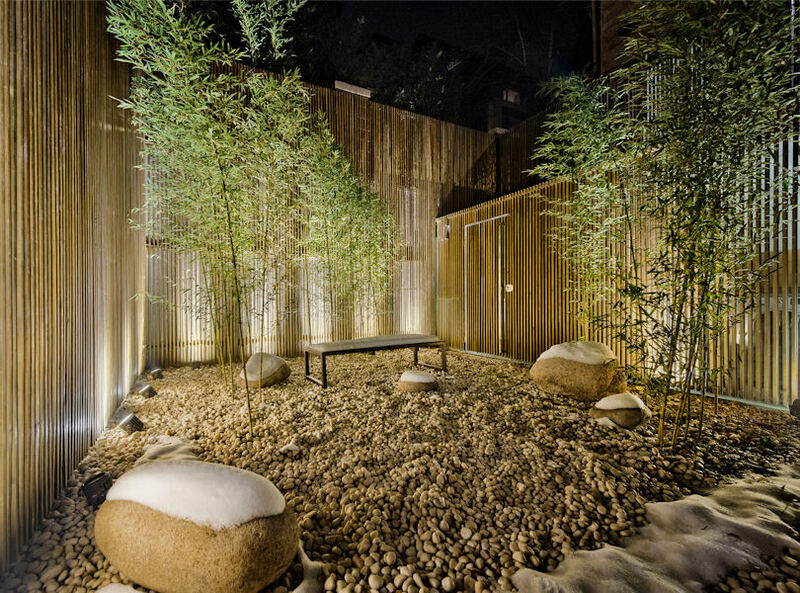 The use of bamboo forest and pebbles embellish the sunken courtyard into an oriental landscape atmosphere, which makes the sunken courtyard the highlight of the whole residence. The design of the courtyard and the interior are connected. 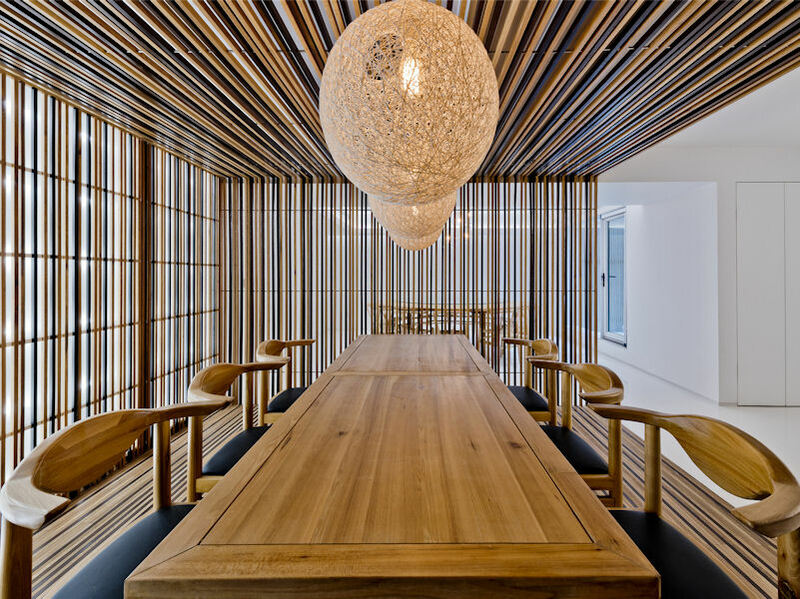 The method of wooden grills is also adopted in many of the interior spaces. 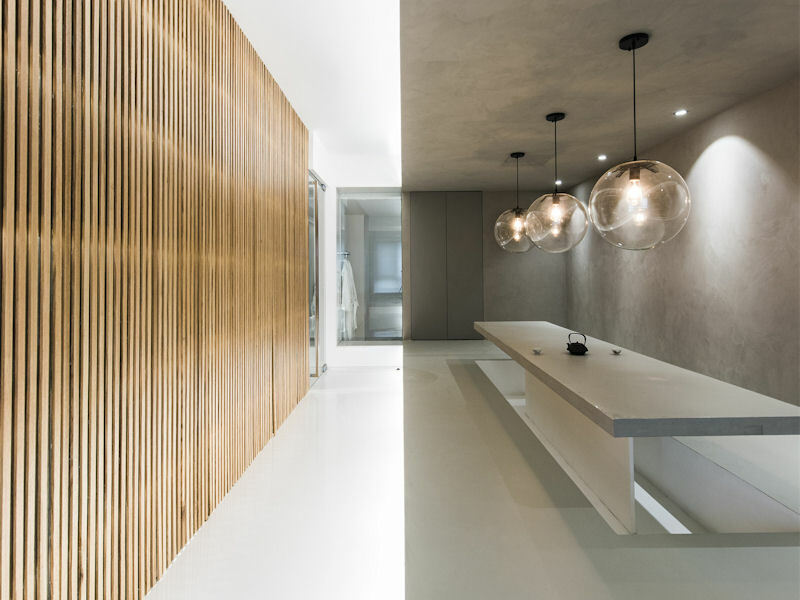 A series of boxes, platforms are used to redivide the closed relationship between the original interior spaces. We create many continuous open and semi-transparent spaces, which create a sense of outdoor courtyard feeling in the interior spaces, bringing a space breath of nature, penetration and hierarchy into the interior.